Today is Thursday, November 17, the 322nd day of 2016, with 44 days remaining. There are seven days until Thanksgiving, 34 days until the winter solstice, 37 days until Festivus, 38 days until the start of Hanukkah, 39 days until Christmas Day, 65 days until Donald Trump becomes president of the United States, and 721 days until the November, 2018 mid-term election. 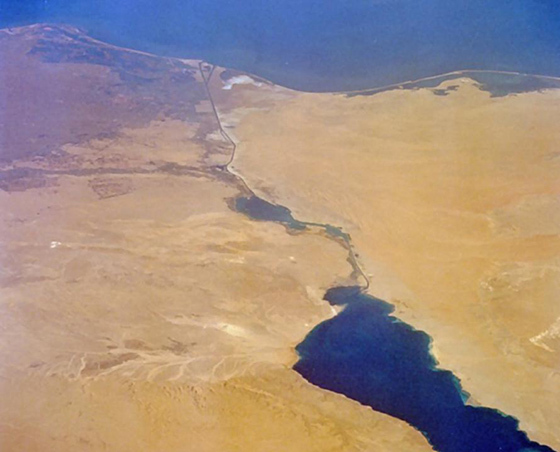 On this date in 1869, the Suez Canal, an artificial sea-level waterway in Egypt, connecting the Mediterranean Sea to the Red Sea through the Isthmus of Suez, was officially opened. The canal offers a shorter journey between the North Atlantic and northern Indian Ocean by avoiding the South Atlantic and southern Indian oceans, in turn reducing the journey by approximately 4,300 miles. In 2008, the average cost per ship to travel the 120 mile length of the canal was $251,000, or roughly $2,100 per mile. Among other things, today is also World Philosophy Day, introduced in 2002 by the United Nations Educational, Scientific and Cultural Organization (UNESCO) to honour philosophical reflection in the entire world by opening up free and accessible spaces. Its objective is to encourage the peoples of the world to share their philosophical heritage and to open their minds to new ideas, as well as to inspire a public debate between intellectuals and civil society on the challenges confronting our society. Florida man claiming food poisoning allegedly stabs IHOP waiter. As of this writing, The KGB Quotations Database contains 41,808 entries. Check it out. Eugene Wigner, Hungarian-American theoretical physicist, engineer and mathematician. "You fill me with inertia." Today's edition is late and abbreviated due to some software issues. We're off tomorrow to correct the issue with out hosting service and some other items, and will return on Monday.